The former home of Meghan Markle, the reigning Most Talked About Person on Earth, is up for sale. 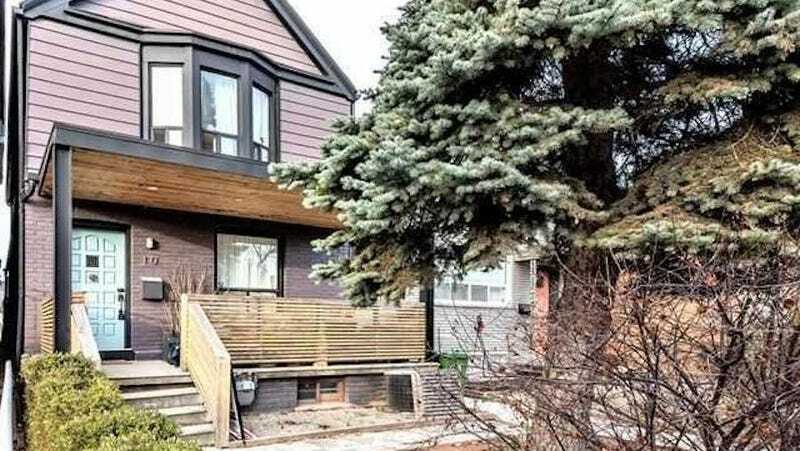 If at first you are struck by the home’s modesty (it’s just $1.4 million! ), you must remember that Meghan Markle was not always the Most Talked About Person on Earth. Prior to her relationship with Prince Harry, you may not have thought daily about Meghan Markle; it is possible, if you weren’t a Suits fan, that you’d never even heard of her at all. Do you even remember the first time you heard the words “Meghan Markle”? Do you remember an era before you’d viewed her childhood photos, seen her do yoga, knew how she’d spend Christmas? I don’t! So entwined is Meghan Markle in our daily lives that when I look in the mirror, I wonder: Is it me? Am I Meghan Markle? But then a chip crumb falls from my hair, and I’m forced to remember that no, I am not Meghan Markle—I am merely a vast, yawning receptacle of Meghan Markle knowledge, like everyone with internet access and a passing interest in Twitter. Finally, we know exactly the dimensions Meghan Markle’s family room (4.33 meters x 7.2 meters), the type of heating fuel she used (natural gas), the total parking spaces (two). I literally don’t feel I could know any more about Meghan Markle without dying, reanimating into a ghost and haunting her closet. Which I am sure is a project The Sun is working on as we speak. Just How Many Headlines About Meghan Markle And Prince Harry Were There This Weekend?